I recently purchased this 18” Medium Ride, I can barely read that on the top below the stamp, which looks to be a Thin Stamp, so I’m assuming this is 70’s. However, all the pics I’ve been able to find are all Black ink. This is a gold color. Can anyone lend an opinion? I think that's what happens when the black ink was on there for some years, then was removed. 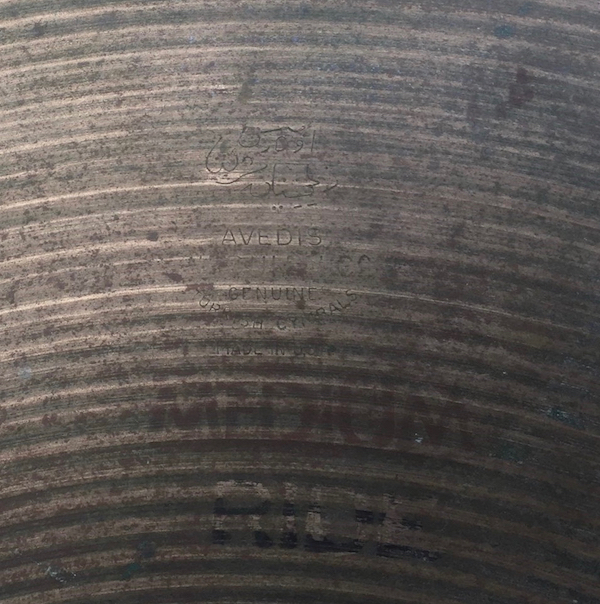 What you see is the ghosted image and it persists because during the years the black ink was present the surface of the cymbal under the ink experienced a different environment. Here are some examples from my ongoing ink research collection. 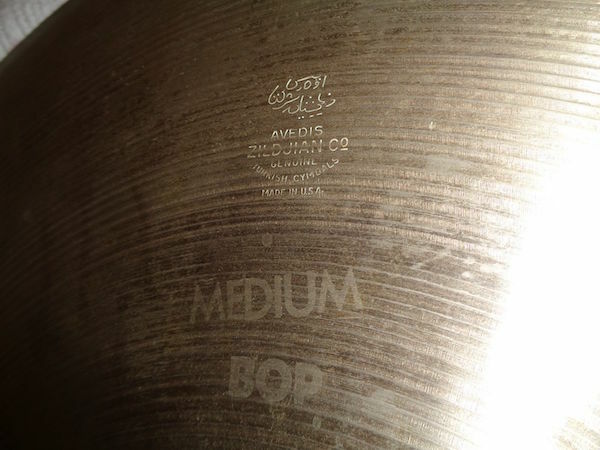 The first cymbal shows the transition from some black ink to ghosting as it is partially removed, followed by a couple of cymbals showing the full ghosted model ink. 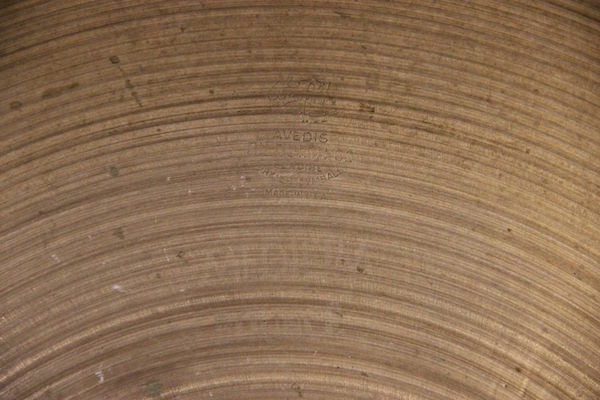 The ink pattern on your cymbal indicates 1978-late 1982 according to my research at this point. In late 1982 Zildjian added diameter ink under the model ink, plus the solid Zildjian ink logos. Based on the ink changes, it seems likely that what we call the 1970s stamp actually lasted right up until 1993, although there was a time from 1982 where the CO stamp coexisted with the 1970s stamp. I'm still working all that through, and my web site needs to have the years updated although the years are all still within the ±2 I suggest people think of for any specific year estimate. That's just a clean spot left behind after the ink had faded. It could be late 70's - mid 80's if I'm not mistaken. Drumaholic or Zenstats would know for sure.